JAWZJAN, WASHINGTON — Local affiliates of the so-called Islamic State militant group have shut down dozens of schools in a restive district of northern Afghanistan, provincial officials said. Abdul Hai Yasheen, the director of education in northern Jawzjan province, told VOA that growing IS threats have scared thousands of students away from schools. “The ongoing clashes in Qoshtepa and Darzab districts have scared the local people. They refrain from sending their children to school, including schools that are in areas under the government control,” Yasheen said. Yasheen added that thousands of boys and girls in Darzab district have been deprived of a chance to get education. “Over 18,500 students are unable to attend school and that’s a catastrophe,” Dawar added. At least two schools remain closed in neighboring Khanqah district as well. 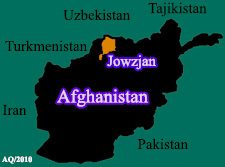 The terror group has destroyed much of the education infrastructure in parts of the Jawzjan province. In July, IS militants destroyed more than a dozen schools in Darzab, including a girls’ high school. The militants warned that an educational curriculum acceptable to IS must be taught in areas that the group controls, according to provincial education officials. The terror group had also warned girls not to attend school. They make up 40 percent of students in the district’s 47 government-run schools. Reza Ghafoori, a provincial spokesperson, told VOA that authorities are seeking to resolve the issue through mediation by local leaders who are trying to talk to IS militants to allow children to attend school. The efforts, however, have not yielded a positive outcome yet. Islamic State’s self-styled Khorasan Province branch (IS-K) emerged in the mountainous areas of Afghanistan and Pakistan more than two years ago. The terror group has recently attracted hundreds of local militants to its ranks in northern Jawzjan and Sar-e-Pul provinces. Qari Hekmat, an ethnic Uzbek and former Taliban commander who switched his allegiance to IS a year ago, is said to lead IS-affiliated groups in the region. A large number of Central Asian fighters affiliated with the Islamic Movement of Uzbekistan (IMU), previously associated with al-Qaida and the Taliban in Afghanistan, have joined the IS cause in the northern provinces. IS and rival militants from the Taliban frequently fight for control of Darzab and Qoshtepa districts. Recent clashes between the two rival groups have resulted in the death of at least 30 militants from both sides, according to Faqir Mohammad Jawzjani, the provincial police chief in Jawzjan. “Two days ago, the IS miitants set a school on fire in Qoshtepa and killed two local elders on charges of serving in the local police force,” Jouzjani told Radio Liberty. The ongoing clashes have led hundreds of families to leave their homes. Most of the fleeing families have taken refuge in the provincial capital Sheberghan and live in dire conditions, according to Radio Liberty.